Ballet Flats: Steve Madden "P-Heaven"
Earrings: JewelMint "Rachel Rose Earrings"
Watch: ShoeDazzle "Moment in Time"
I saw this picture of Rihanna a couple of weeks ago and I immediately feel in love with the whole outfit. I woke up this morning not in the mood to dress up. 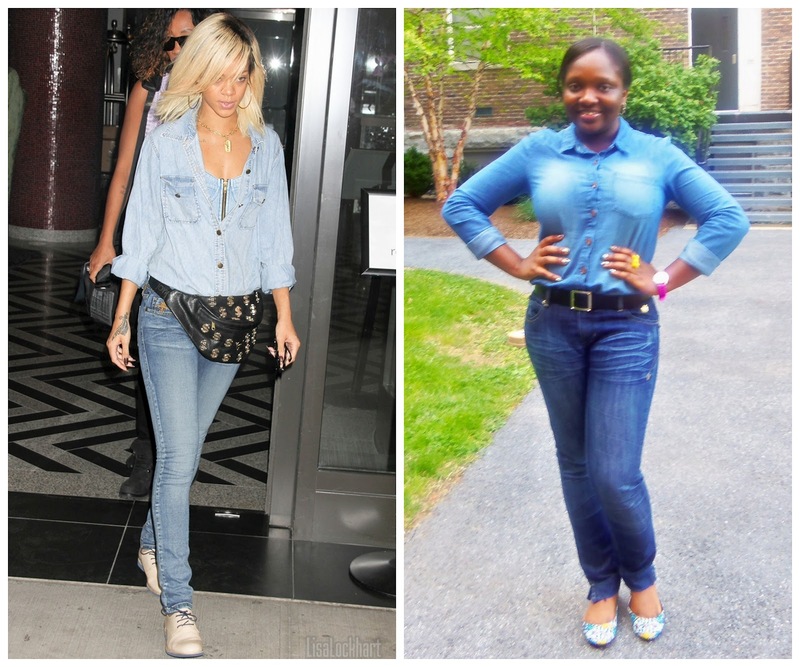 I decided to try this denim on denim look because I wanted to look casual yet stylish. I paired my outfit with a yellow ring, Pink watch from ShoeDazzle, a pair of JewelMint Earrings (My favorite piece so far) and this cute printed flats from Steve Madden. Gotta get back to studying! Thanks for visiting my blog, feel free to subscribe and have a wonderful night!